In addition to working at the Colorado Teen Therapy offices, I also work at a high school in Denver providing school-based therapy. This means that I get to see first-hand what the start of the school year looks like for teens on a day-to-day basis: getting to see old friends and making new ones, decorating for spirit week, and planning Halloween parties. But I also see that for many teens the start of the school year can be overwhelming and stressful: freshman worry about fitting in at their new school, seniors worry about what to do after high school, couples break up and get back together, friends throw parties and teens are faced with hard choices about alcohol, juuls, and marijuana while other teens are at home watching the parties unfold over social media and wondering why they weren’t invited. For teens, high school can feel like driving through a landmine field of social-emotional obstacles going 100 mph. I use Dialectical Behavior Therapy (DBT) with many of the teens I work with because the four primary components of DBT speak to the skills needed to navigate the adolescent experience: mindfulness, interpersonal effectiveness, emotion regulation and distress tolerance. Today I really want to focus on distress tolerance and why it is so important for teens to learn. Often the way we talk to teens (and adults!) about distressing situations is by encouraging them to change their situation in some way. Don’t get me wrong, helping teens figure out how to process difficult situations and ultimately change environments and/or behaviors to craft the life they want is very important. However, often times well-meaning adults are so upset by their teen feeling sad, anxious or angry, we jump to helping them find solutions to that feeling so it will go away, rather than teaching them how to sit with uncomfortable emotions. Distress tolerance teaches teens that not only is it okay to feel sadness or anxiety, it’s actually important to learn how to accept and skillfully tolerate pain and distress. Rather than jump to unhealthy or self-destructive choices, teens learn how to non-judgmentally recognize and accept emotions rather than becoming overwhelmed or hiding from them. One technique to use with teens who are at an emotional breaking point is TIPP: Temperature, Intense Exercise, Paced Breathing and Paired Muscle Relaxation. Temperature: Changing the temperature abruptly in your body helps to quickly change mood and prevent a teen from doing something they might regret later. If a teen feels like they’re at the brink have them dip their face in cool water, have an AC run full blast in their face or put a cold ice pack on their face. Intense Exercise: Go run! Do jumping jacks! Increasing the oxygen flow decreases stress levels and when you’re physically exhausted and out of breath it’s hard to hold on to explosive emotion. Paced Breathing: Breathing exercises help to reduce stress levels. Try square breathing: Hold your breath for four counts while tracing the four lines of a square and let a breath out for four counts while tracing the four lines of a square. Repeat as needed. Paired Muscle Relaxation: Sometimes we’re tensing up without even knowing it. Purposefully tighten a muscle group for four counts and then intentionally relax that muscle group for four counts. Continue with specific muscle groups starting with your toes and all the way up to your head. If your teen might be interested learning more DBT techniques and connecting with other teens, check out our DBT group starting in October! I'm a former English teacher, school mental health counselor, recovering perfectionist and therapist at Colorado Teen Therapy. 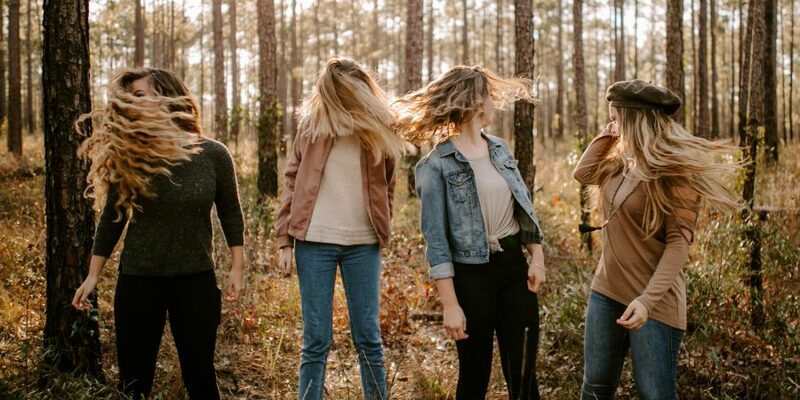 I love working with middle and high school girls who struggle with stress, anxiety, body image and perfectionism to help them shed the pressures of who they think they are supposed to be and embrace the strong, confident young woman they already are! When I'm not working with teens, I enjoy camping, reading, hanging out with my dog, Hudson, and watching movies and/or shows that feature Benedict Cumberbatch.